Honda launches yet another scooter for the Philippine market. The Honda Click 125i comes in three colors – white, black and red and is now available in local dealers. Dubbed as “future of scooters”, the Click 125i is Ph’s first scooter of its kind. It is equipped with a New Generation Intelligent 125cc global engine with cutting-edge technological features developed by Honda. “The Click 125i is our answer to the customers who are looking for Environmental friendly Super Sports Scooter with a superior specification, unbeatable features and “futuristic” design. 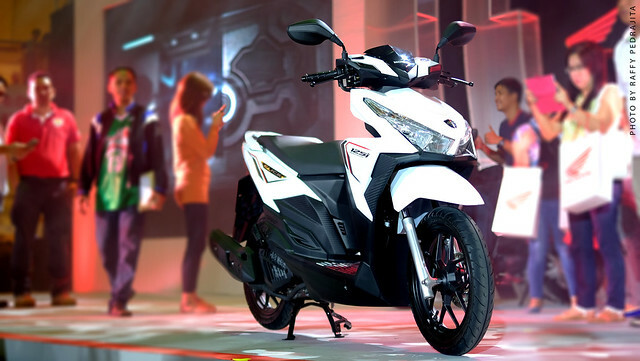 Fortunately for Philippine scooter market, we are not going to wait for the future, but the future will be now with the introduction of the new Click 125i eSP” says Ellie Salamangkit Jr., New Model & Accessory Development Manager of Honda Philippines. PGM-FI, a technology pioneered by Honda since the introduction of Honda CX500Turbo in 1982, the 1st in the world Fuel Injected Motorcycle is also used in this model. However, the innovation is not focused on the Fuel injection of this scooter. Every aspect that was developed in the Click 125i is Honda’s effort in providing products that deliver better benefits and exceeds customer expectations. Honda’s dedication to providing the Joy of riding a motorcycle is clearly demonstrated in the use of the revolutionary HONDA SMART TECHNOLOGY. 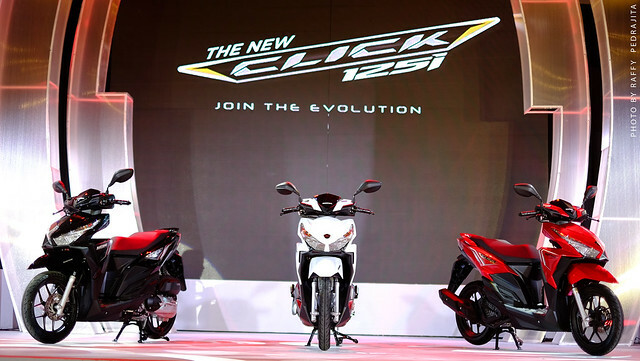 The Click 125i brings future technology to the present with cut-away innovations never seen before in the local motorcycle history such as Enhance Smart Power (eSP), Idling Stop System (ISS) and trendsetter Combined Brake System (CBS). While it does not have a “sixth sense” and cannot predict your thoughts or where you want to go, the Click 125i, has its own version of eSP and knows what riders want from their scooters. Honda’s eSP or Enhanced Smart Power is an advanced engine technology that combines high power and high fuel efficiency with a quiet start and smooth eco-friendly engine. eSP technology is able to maximize the efficient combustion and minimize friction to reduce the risk of waste, and to optimize the energy out. eSP technology is integrated with the Unique Honda ACG starter that is able to start the engine jolt free and with a more refined sound, as well as the basis for the application of advanced feature Idling Stop System (ISS). The benefit of Honda Smart Technology is further optimized with the advent of technology Combi-Brake System (CBS) which balances braking the rear wheels and front optimally. The Honda ACG starter is exclusively developed for comfortable frequent operation of the idling Stop System. The engine is started via the same AC generator used to generate electricity and charge the battery while riding. This eliminates the need for a conventional starter motor, thus there are no reduction gears and gear meshing noises… just smooth, quiet starts. The PGM-FI built-in Liquid cooled engine boasts of 8.40 kW (11.4PS) @8500 RPM maximum power and 11.16 N.m @6500 RPM maximum torque and delivers class-leading fuel efficiency of 64.3 km/liter at 50kph or 58.9KM/liter under ECE R40 testing method. The Idling Stop System (ISS) of the Click 125i is one of the reasons for its fuel efficiency. Compared to the conventional engine which continuously consumes fuel once the engine is started, ISS eliminates wasteful fuel consumption by automatically switching the engine off after 3 seconds in traffic lights and other brief stops; and when you have to move all you have to do is just to twist the throttle to Start up and Go in less than a second. In addition, the New Honda Click 125i eSP also features dependable Honda Safety and Security features like standard automatic Side Stand Switch where the engine does not start up when in the down position, and Brake Lock easily operated to prevent the motor jump when started or remains in the idle state when stopped on a hill. Bigger tubeless tires for better traction and more secure feeling and comfort compared to other brands. Another excellent feature is the ever reliable safety magnetic key (Magnetic Key Shutter) which effectively prevents theft and push-button seat opener. The New Honda Click 125i eSP also has the largest luggage capacity in its class at 18 liters which is capable of storing a Full-face helmet. The latest scooters from Honda, the Click 125i will have an SRP of P87,900 and available in 3 premium colors, Pearl Horizon White, Asteroid Black Metallic and Candy Rosy Red with Honda Genuine Accessories. They are now available selected Honda 3S shops. 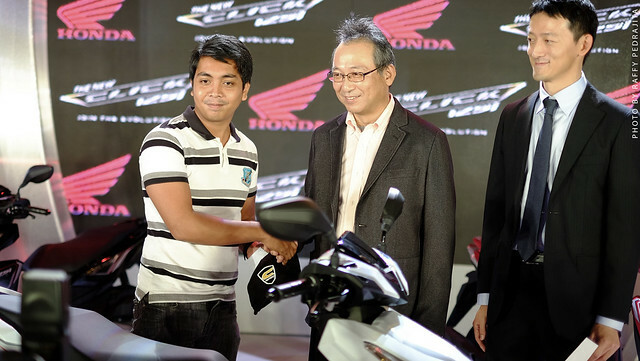 During the public launch held at the Trinoma Mall in Quezon City, Honda PH raffled off one unit of the Honda Click 125i and the lucky winner was from the Laguna Beat Riders Club. 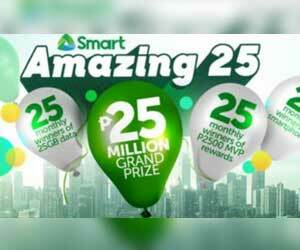 Mr. Arnel A. Hipolito Jr. went home with a brand new Honda Click 125i. The idling top never gets fueled. Very useful content. Looking forward to more post about updates.